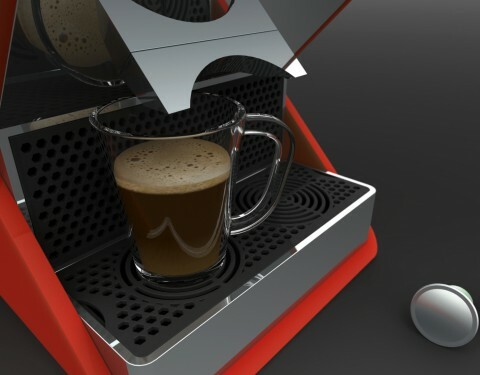 I designed the Nespresso Coffee Machine originally as an Senseo pad machine a couple of years ago. In 2013 I stumbled upon the old sketches from 2009 and decided to give my old design a slight redesign. 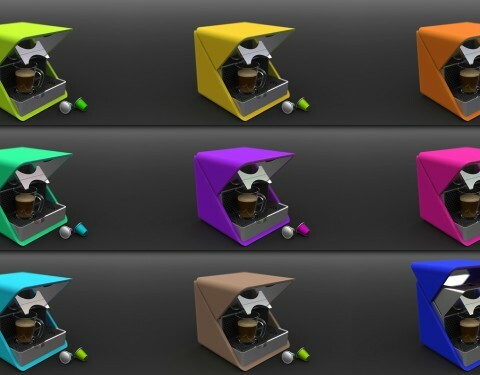 The form study of the Nespresso Coffee Machine is designed to be the center of your kitchen. For some, drinking coffee is a ritual performed several times a day at specific moments. Drinking coffee is very important for them. 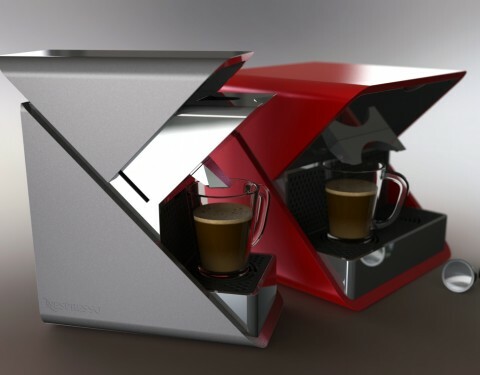 This coffee machine must give the coffee drinker the feeling that they are special. 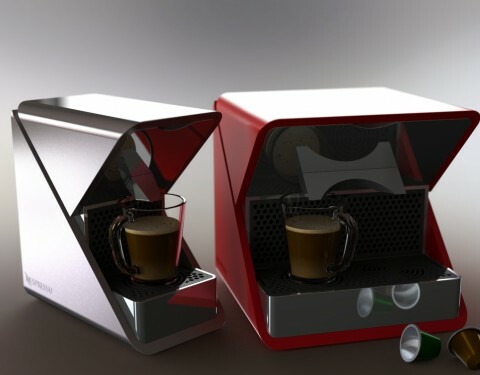 I designed two versions, one which can make one coffee and one that can make two coffees at the same time. 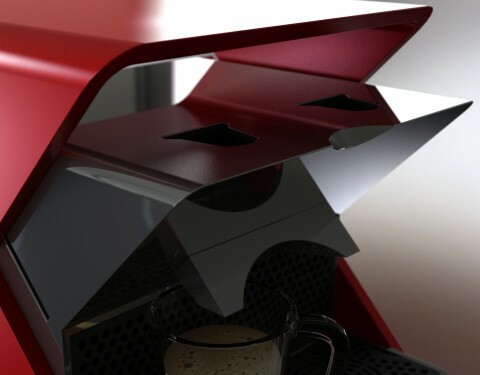 For both coffee machines I was looking for an intuitive way of loading the cups into the machine, without compromising the design. I came up with a slide. If you pull the lid up, you can load the cups into the cup-shaped-hole(s). 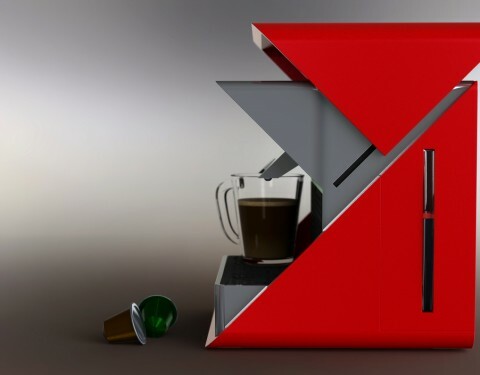 If you want the coffee machine to start you simply push the whole lid down. 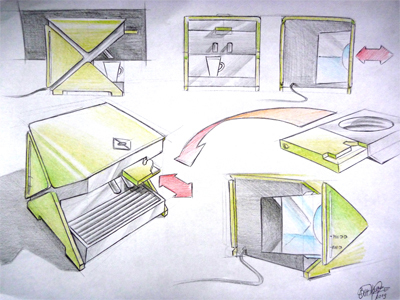 Because there is no need for buttons the design can be sleek and functional.